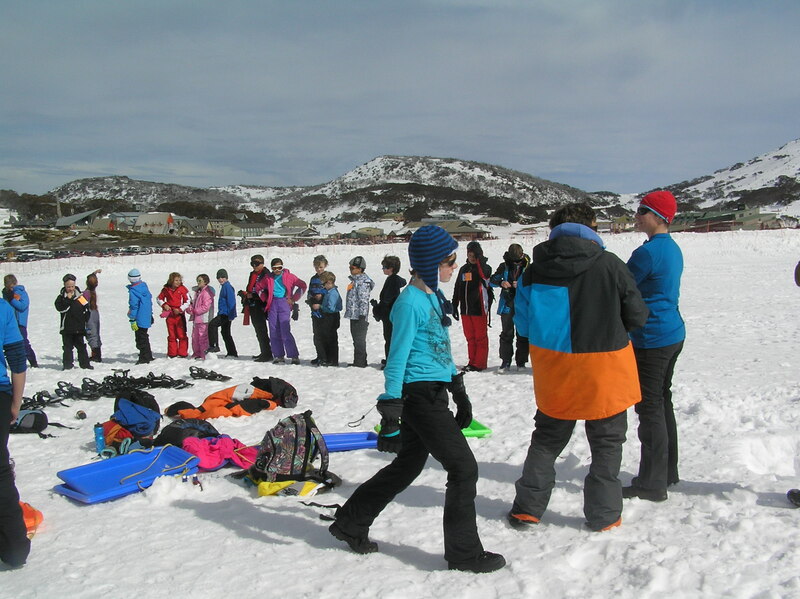 On 15-17th August, the Birralee Group which included 31 cubs, 26 Scouts, 15 Venturers and 20 Leaders and Parent Helpers and 3 Wells Station Scouts and 1 Leader went to Jindabyne for a trip to the snow. The Venturer bus was lots of fun, with cable ties and music. The Cubs bus was presumably not as fun. Once we arrived at Jindabyne, we moved into our rooms and set up our beds. After a brief speech, and a tasty supper, it was time for bed, on our first night at Jindabyne. The only problem was, some of the cubs were a bit too excited for the snow, and stayed up until 1 o’clock at night excitedly talking (and making farting noises). In the morning we ate a delicious warm breakfast of hash browns and French toast. 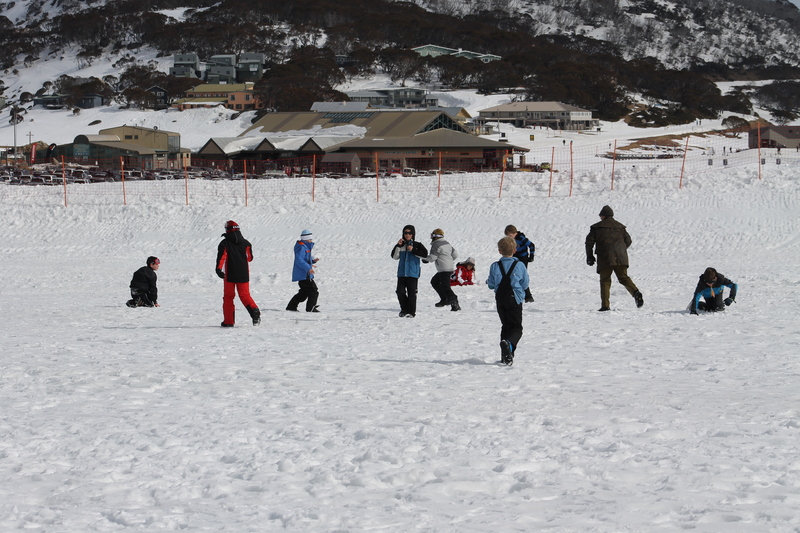 Soon afterwards, we climbed onto the buses and headed out to Perisher for an exciting day of snowy fun. For the first half of the day, the Venturers went tobogganing, while the cubs went on a snowshoe hike, and the scouts built snow shelters. Tobogganing was filled with funky poses (both on the toboggan and off), and much snow was eaten. The snowshoe hike was exciting for all involved, and the cubs saw many interesting sights. 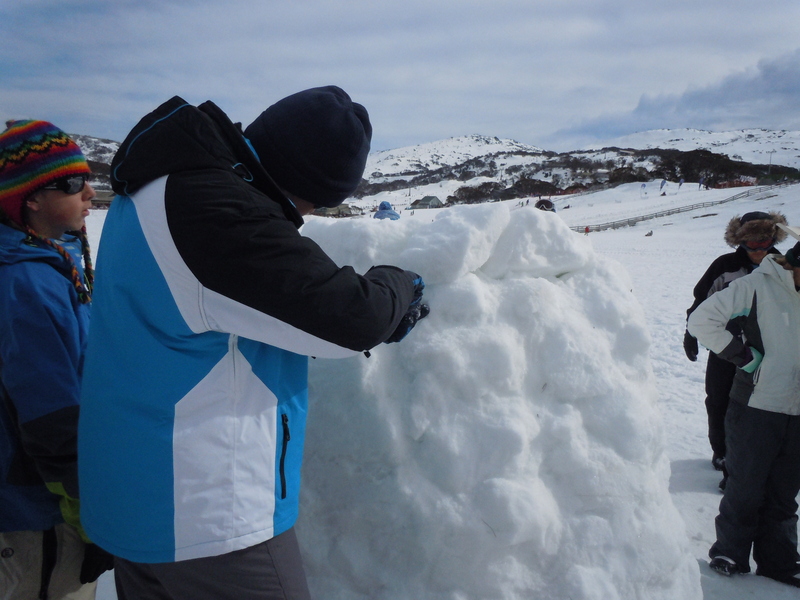 The snow shelters were very warm, and the scouts had a blast cutting away at the ice and layering the ice bricks. Later, after a delicious lunch of soup and bread rolls, the Venturers set out on their snowshoe hike, while the cubs and scouts went tobogganing. The Vennies snowshoe hike was filled with falling over, and frantically struggling to get up a small hill (some unsavoury words may have been heard). The cubs had gone back to Jindabyne after lunch and walked down to the lake. Meanwhile the scouts had been toboganning but now were waiting for the Venturers to return in an attempt to surprise snow ball attack them. There was no surprise…Venturers rule! After a long and fun day, we all clambered back on the buses, and began the trip back to Jindabyne. We couldn’t wait to get back into our warm beds. Once we had returned, many of us delighted to hear some wonderful singing from the showers. We played many card games, before a scrumptious dinner, and we had a particularly extraordinary parade in honour of Matthew Court earning his Queen’s Scout Award. The next morning, we all awoke fresh as daisies (except some of the leaders, who were more swamp reeds). We were all excited for our second and final day at the snow, which for the Venturers would bring a highly eventful cross-country skiing trip. Unfortunately, the roads were too snowy to go all the way to Perisher, and so we stopped at Smiggin’s Hole for another fun-filled flurry of adventure. Once we had stopped at Smiggin’s Hole, the Venturers donned their skis, and set off on one of the most memorable parts of the trip. 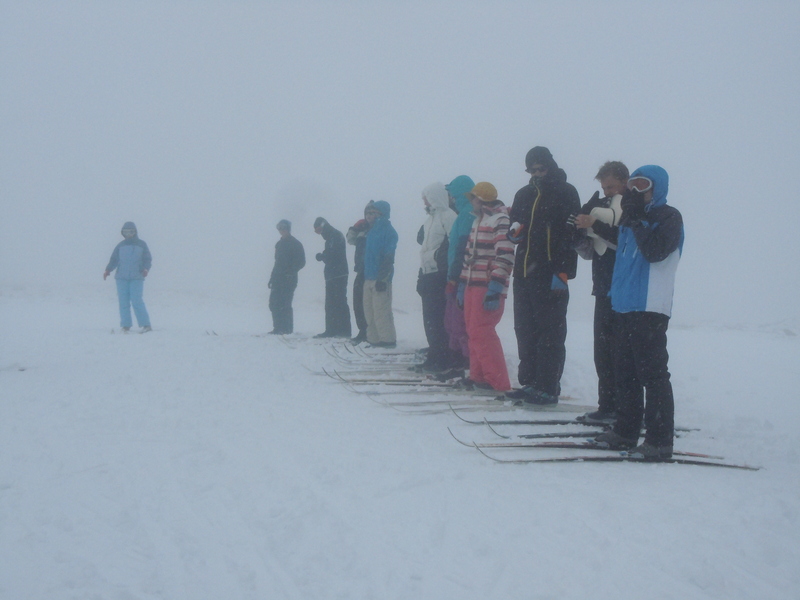 Our instructor, Marcel first taught us the basics of skiing, with many stumbles and falls (not to mention snowballs). After we had grasped the basics, we set off to practice going down hills. After we had practiced this for a while, a small group of us set off on a quick tour, while many stayed behind to continue rocketing down the hill. Our tour was approximately 2.5km in length, with roughly 25km worth of fun crammed in. Many stumbles were had, but we all had a lot of fun, particularly on the downhill parts. Meanwhile the cubs found a slope to toboggan on while the scouts went snow shoeing and enviously watched the Venturers practice going downhill on cross-country skis. After this exciting day, we all crammed onto the buses for the trip home. Everyone was exhausted from an energetic weekend, but we all had a lot of fun, and none of us would have missed it for all the snow in Canada.